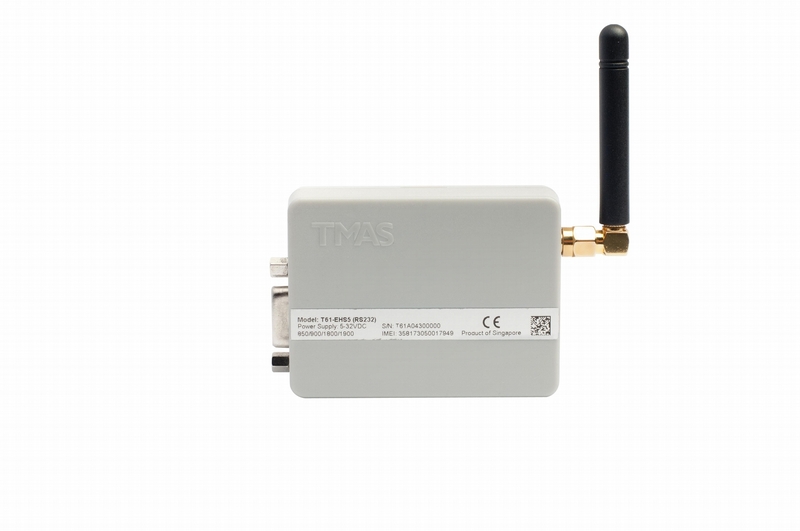 T61 is a smart Gateway to connect remote devices with RS232 or RS485 interfaces to GSM/GPRS/HSPA network. T61 can operate in normal modem (default mode) and smart gateway modes. In normal modem mode, you could send AT command to achieve various functions, such as SMS, GSM/GPRS/3G connections for data transfer. If you configure it in smart modem mode (or we call gateway), it will be “plug and play” and connect automatically to your configured IP. You can configure it as server or client, accept SIM card with dynamic IP or static IP, supports TCP/UDP, schedule to connect, connect on demand or “always on” connection, and with Auto Recovery, Re-connection and Redundancy mechanisms. T61 smart gateway mode allow you to migrate your remote device from traditional serial communication system to the advance GPRS or 3G link, without tedious application development and in depth knowledge of AT command or GPRS/3G. You can view this device as the “virtual serial wire over the air”, that links all your remote equipment to the central PC. It can be a full transparent, protocol independent gateway, used for AMR, SCADA, general remote monitoring, control and data exchange applications. It is designed for mission critical industrial applications.